Bandai Namco’s anime/manga crossover fighting game just got a little bit bigger. The publisher announced today that two characters from the popular Saint Seiya series will be joining Jump Force. Players will be able to play as both Pegasus Seiya and Dragon Shiryu when the game releases in February 2019. 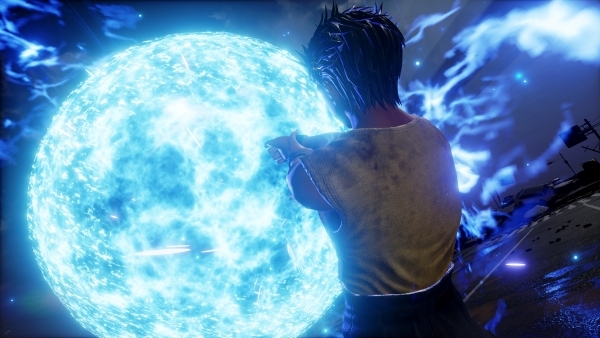 Jump Force brings together some of Shonen Jump‘s most iconic franchises together in one big fighting mash-up. First announced at E3 2018, it’s poised to be an over-the-top free-for-all brawl. So far, Jump Force has confirmed characters from Dragon Ball, Naruto, One Piece, Bleach and Hunter x Hunter. In addition, Yami Yugi, from the Yu-Gi-Oh! franchise, will be playable in the game. However, despite appearing in Jump Force, characters from Death Note will not be playable. Instead, they will only be featured in the story mode. Jump Force takes the established Shonen Jump characters and places them in the real world. We got get our hands on it during E3 2018, but noted it was a game that was still early in development. Jump Force releases in February 2019 for the PlayStation 4, Xbox One, and PC.